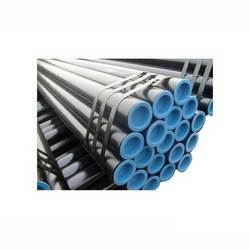 We are leading supplier and exporter of a broad range of premium quality Seamless Tubes. Our range of products in this category includes Nickel Alloy Seamless Tubes, Inconel Seamless Tubes, Alloy 20 Seamless Tubes, Cupro Nickel Seamless Tubes, Duplex Steel Seamless Tubes, Titanium Seamless Tubes, Hastelloy Seamless Tubes, Monel Seamless Tubes and Stainless Steel Seamless Tubes. These products are available to our esteemed customers at industry leading prices. Our company is engaged in supplying a wide range of Stainless Steel Seamless Tubes to our national as well as international customers. Manufactured from fine-grain, low carbon steel, these tubes are famous among our clients for their toughness, strength, corrosion resistance and high deformability. 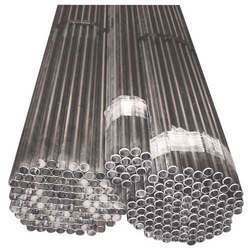 Available in various length, outer diameter and wall thickness specifications, these tubes can be used for fencing, scaffolding and other engineering-related purposes. Being a quality-oriented organization, we offer a comprehensive range of high grade Nickel Alloy Seamless Tubes. Designed with latest technology, these tubes are ideal to be used in marine industry, oil refineries, chemical plants, gas processing industry and construction works. Our expert professionals work with utmost precision to deliver the order to the clients within stipulated time period. We procure and provide a qualitative range of Monel Seamless Tubes at highly affordable prices. Our precision engineered tubes are widely used and appreciated by our clients for their sturdy construction, high utility, dimensional accuracy and uniform mechanical properties. These tubes are crafted from premium quality raw material to match international quality standards. 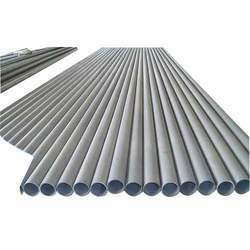 We are leading provider of a wide variety of good quality Inconel Seamless Tubes. Manufactured by our skilled technocrats using rotary piercing or extrusion method, these tubes can sustain high pressure and temperature. Available in various length and thickness ranges, these durable tubes can also be customized to suit specific needs and requirements of different clients. Our company offers a complete range of Hastelloy Seamless Tubes manufactured from high quality metals. Available in various grades, these cost-effective tubes are perfect to be used for the transportation of oil, acids, water, gas and alkalies. Procured from reliable vendors, these leak-free tubes can be used for various domestic and industrial purposes. Being a customer-centric organization, we export a wide assortment of Alloy 20 Seamless Tubes. 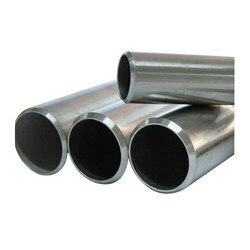 Fabricated from high grade raw material, these tubes are widely used and appreciated by our clients for their sturdy designs, utility, high tensile strength and unique physical properties. We work in close association of our customers to provide their orders within minimum possible time. Our company procures superior quality raw material from reliable suppliers to offer a multitude of Duplex Steel Seamless Tubes. Available in various dimensions, these tubes are used in hydro-carbon plants, cement industry, power generating plants, petrochemical industry and construction works. These products are designed under the supervision of industry experts to meet increasing market demands. Well known as a reliable company, we offer a gamut of Cupro Nickel Seamless Tubes to our global customers. Our skilled professionals work in close association of our clients to provide these tubes as desired by the customers. Known for their standard dimensions, accuracy, impeccable designs, high functionality and long lasting quality, these tubes are used for various industrial applications. Backed with cutting-edge technology, our company provides an exquisite range of Titanium Seamless Tubes to our customers situated all over the world. These excellent quality tubes are provided with application specific designs to suit specific requirements of different industries. Our trained professionals make it a point to deliver the consignment to the clients with utmost safety and security. 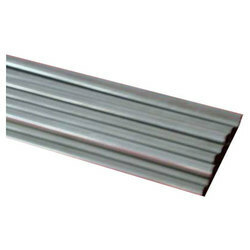 Hitesh steel are suppliers of phosphor bronze in round bar and hollow bar / tube. Specifications are available conforming to British (bs), ASTM, uns and European standards. Commonly stocked in grade bs1400 pb1 and pb102 with other less common grades also available. Continuous cast production gives characterisitcs of high density, close grain structure with good mechanical and machining properties. With a lower tensile strength than phosphor bronze free machining leaded bronze is available in grades lg2 and sae660. Pb1 is a continuously cast product used for machined components washers and bushes. Pb2 this has a higher tin content than pb1 this addition aids wear resistance and is used in gear applications. Pb102 is a wrought phosphor bronze with a high hardness mainly id bar and rod form used in the manufacture of machined parts and electrical components. SAE660 – this is a leaded gunmetal used for a bearing material, good strength and , machinability and abrasion resistance. Under able guidance of our trained professionals, we offer a wide range of brass pipes & tubes. We ensure our ranges of brass raw materials used are of superior quality and durable. Our pipes and tubes have some vital features, such as robust performance, reduced power consumption and efficiency in pumping operation. These pipes and tubes are very reliable and leak-free. We provide best quality of brass square tube at reasonable prices. Entire range is stringently tested on different parameters to ensure that these are free from any defects. We are highly appreciated for our capability of providing a desired and excellent quality range of square bars. These square tubes are available in various sizes, shapes and dimensions. We are offering best quality of brass rectangular tubes in large quantity. These brass rectangular tubes are available in various sizes and shapes. These rectangular tubes are manufactured in compliance with international standards of quality and are offered at industry leading prices. There are several parameters for defining the rectangular pipes and tubes. We are engaged in offering a wide range of brass round tubes to our most important customers. Our range of brass round tubes are available in various sizes and shapes. 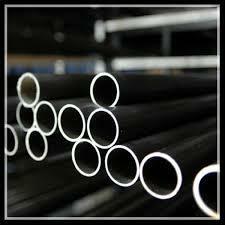 These round tubes are manufactured using high grade raw material and we ensure it is procured from reliable resources. Alloy 20, also known as carpenter 20, is a nickel-iron-chromium austenitic alloy that was developed for maximum resistance to acid attack, specifically sulfuric acid. This super alloy has excellent resistance to general corrosion, pitting, and crevice corrosion in chemicals containing chlorides and sulfuric, phosphoric, and nitric acids. It also contains niobium for stabilization against sensitization and resultant inter granular corrosion. Carpenter 20 combines excellent corrosion resistance with elevated mechanical properties and relatively easy fabrication. Although originally designed for use in sulfuric acid related industries, alloy 20 is now a popular choice for a wide variety of industries including the chemical, food, pharmaceutical, and plastics industries. In addition, this super alloy is used in heat exchangers, mixing tanks, metal cleaning and pickling equipment, and piping. 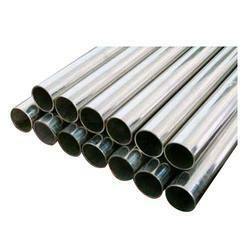 We offer a wide range of alloy tubes which is impeccably designed to meet with various industrial functions. These tubes are offered by us in a variety of sizes and are offered at industry leading prices. We also meet customized requirement for our clients benefit. Copper tube is most often used for supply of hot and cold tap water, and as refrigerant line in HVAC systems. 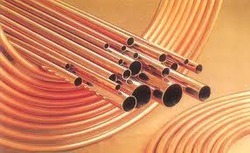 There are two basic types of copper tube, soft copper and rigid copper. 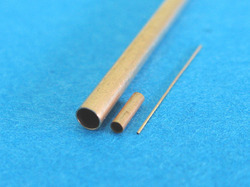 Copper tube is joined using flare connection, compression connection, or solder. Copper offers a high level of resistance to corrosion, but is becoming very costly. Hitesh steel manufactures copper tubes like copper tubes for plumbing, copper tubes for refrigeration in full accordance with the appropriate product standards. Customers specify our products when quality and performance count. We provide copper tubes with a complete range of outer diameter and wall thickness combinations, engineered to exact specifications to meet the highest standards of performance as required by the refrigeration and air conditioning industry. These copper tubes are available in a variety of tempers to suit the intended applications. These copper tubes can be supplied either in straight length or pancake coil as per the requirement. As demand for operating efficiencies increase, tube tech is your reliable source for precision and quality flow products to meet your objectives. Our products meet the highest industry standards and provide superior cleanliness for the contaminant-free transportation of refrigerants, oxygen and other gases. A tube manufactured to special requirements as to dimensional tolerances, finish and tempers for use in condensers and heat exchangers. These copper heat exchanger tubes are generally supplied in straight length in even annealed half hard temper. The copper tubes produced by tube tech not only have the tightest tolerances but also have the most consistent dimensions throughout the tube length. The tube surface is clean both inside and outside with no corrosive stains. The copper tubes produced by tube tech are compatible to transfer heat in a wide variety of operating conditions and to resist corrosion for the longest period of time possible under the harshest operating conditions. Copper tube is used in general engineering purposes mainly because of its thermal conductivity, electrical conductivity, malleability, strength and corrosion resistance. Tube tech produces a vast range of copper tubes to satisfy all customer requirements in term of diameter, thickness, tolerance and tempers complying with all the most important national and international standards. Our range of copper tubes possesses roundness, straightness, uniformity of the wall thickness, smooth inner and outer surface to make it the ideal choice for general engineering applications. Hitesh steel produces specially cleaned and degreased copper tube suitable for use in medical and industrial gas applications. These tubes are produced in accordance with astm b 819 and are rigorously tested to make sure they are suitable for the exacting requirements of critical medical and gas application industry. These copper tubes generally supplied in as drawn temper and are fitted with plastic caps after cleaning to maintain the allowable residue limit of 0. 0035 g/sq. Ft of interior tube surface area. Special care and handling is given to these tubes to prevent contamination of the system.